Sofia doesn’t have a huge reputation amongst foodies, but that’s not to say there isn’t some amazing food to be found in Sofia! We’ve eaten our way through this city extensively and know our way around a Bulgarian food menu quite well as a result. But as Stephanie and I are both massive Asian food addicts, we’ve explored the international food scene here a ton as well. And luckily, Sofia delivers with a variety of different international cuisines, from Indian to Japanese to Mediterranean and beyond. 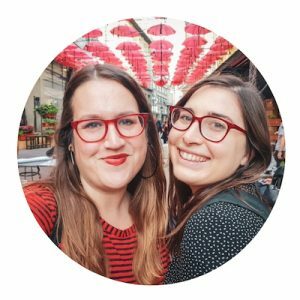 We have personally eaten at every single restaurant on this guide, and we’re slowly in the process of updating our recommendations with our own photos (a stomach can only hold so much, unfortunately). 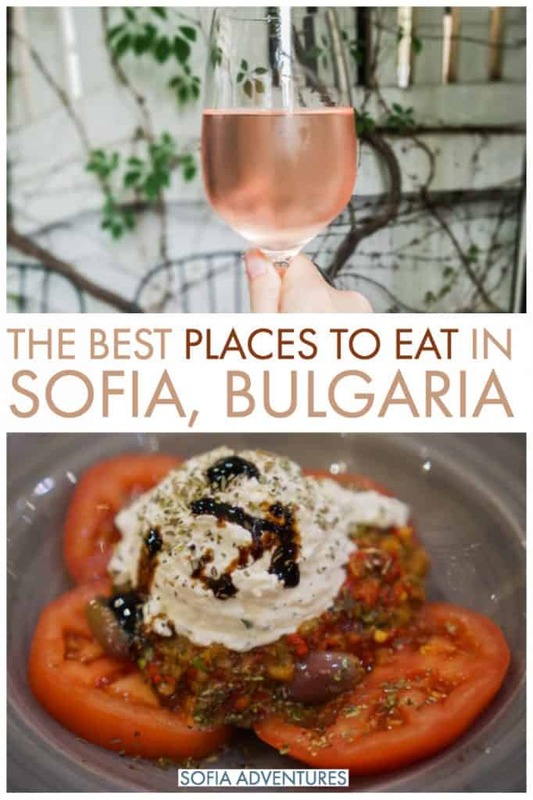 Here is our comprehensive list of what we consider the best restaurants in Sofia. This hard-to-pronounce restaurant has some of the most reliable Bulgarian food around (and an extensive Italian menu as well – the risotto is especially good). You’ll find all the Bulgarian classics, like katuk (a creamy, sour and salty cheese dip) and shopska salad (like a Greek salad but with tons of grated fresh sirene cheese on top). The dish in the photo above is meshena skara which means mixed grilled, one of the most classic Bulgarian dishes. Due to its popularity and its location on Vitosha Avenue, the prices are a little higher than your average Bulgarian restaurants, but it’s very reliable and well-loved by locals and tourists alike. Named for its extensive selection of rakias, Bulgaria’s national liquor (common all over the Balkans), this Communist-style throwback bar also has a pretty solid menu of Bulgarian classics. Bulgarians love their salads, so you’ll find a really wide range of salads including the classic shopska salata and all the standard grilled meats and more, which trust me, you’ll need to sop up the super strong rakia! It’s a popular spot, so reservations are recommended. 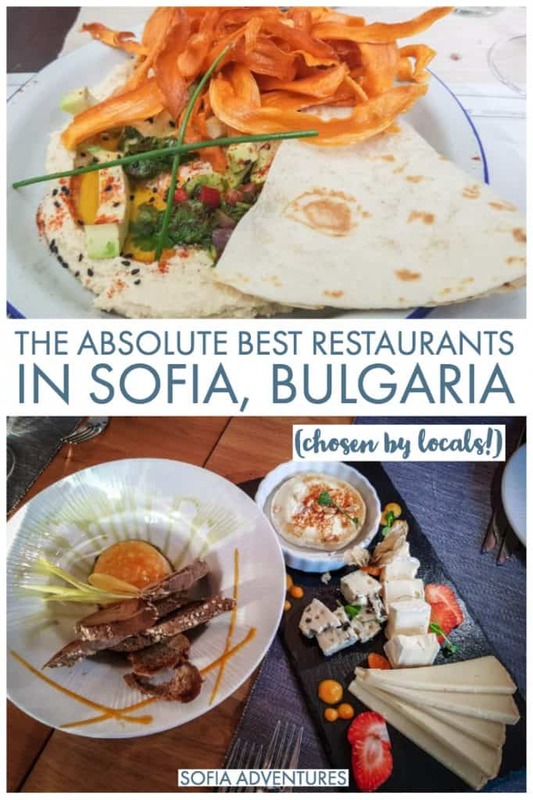 If you want to sample Bulgarian cuisine while on a tour of the city, we recommend this city & food tour which will let you try some of the top Bulgarian food classics such as banitsa, shopska salad, and ayran. This tour is a little more pricy but includes 5 tastings of Bulgarian wine alongside a tasty lunch at Corso with a gorgeous view of the Russian Church. Vino Vino offers Italian classics in a gorgeous setting, with an elegant interior and a lovely garden to enjoy in the summer. As the name suggests, Vino Vino is very wine-focused, with an excellent selection of Bulgarian, Italian, and international wines. 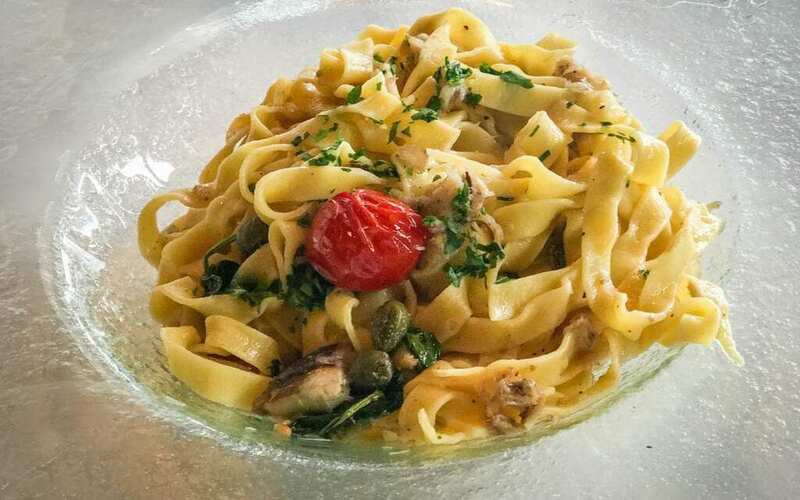 The pizza is some of the best in the city, but the pastas are really delicious as well. It’s hard to go wrong here. It’s also conveniently right by the Alexander Nevsky Cathedral, but its prices are really reasonable for the quality and proximity to one of Sofia’s biggest tourist draws. One of the fanciest Italian restaurants in town, this is one of the best places to have a special meal out. However, it is located quite a bit outside the city center, so you’ll have to take a cab or navigate the public transport all the way to Boyana at the foot of Vitosha Mountain. Because this restaurant is just by the film studio in Boyana (hence the name, which translates to ‘movie city’ in Italian), American movie stars are known to pop in here from time to time — even Nic Cage has been spotted here. The plating of every dish is pretty impeccable. Prices are reasonable given the quality of the food — expect to pay 30 leva for a main dish and 15-20 leva for a pasta or pizza. Some favorites include the tomato soup and the fresh homemade pasta is always incredible. And you can never go wrong with fresh oysters on the half shell! Taj Mahal serves up delightfully delicious, super authentic Indian food in Sofia and even better – they deliver on BGMenu! Stephanie and I are both obsessed with Indian food. I prefer vegetarian Indian food, so I was happy to see there was a really extensive vegetarian menu. A few standout dishes have been the mushroom masala, malai kofta, vegetable korma, and the chef’s special dal. There are plenty of meat and fish dishes here as well. Spice House serves up my favorite vegetarian samosas in Sofia. They’re authentic, better even than samosas I’ve had on Brick Lane in London (although missing my favorite chutney, but you can’t get too picky when eating Indian food in Bulgaria). If you’re a fiend for spicy food, you’ll be blown away by the chicken phaal, which promises — and delivers — to be the spiciest dish in town. True to its name, Spice House delivers some of the spiciest food I’ve found in Bulgaria. If you’re in need of some serious spice, I can highly recommend Spice House. In addition to the momos, there’s a wide variety of vegetarian and meaty Indian-style curries that are also delicious and authentic. We used to bemoan the lack of acceptable Mexican food in Sofia – we are psyched to note that since creating this guide, a really great Mexican restaurant has come to Sofia! They use handmade corn tortillas, and their carne asada is to die for! Their salsas are delicious (but don’t get me sorted on the strange way they serve their chips…) It’s a little expensive, but the margaritas are so strong you’ll barely notice. Hamachi serves up some of the best beef gyoza in town. The selection of nigiri is excellent and always fresh and cut perfectly, and their maki rolls are some of the best around. They also have a nice selection of fancier main dishes if you’re looking for something a little more upscale, and the plating is exquisite. Great for a date night or a special occasion. Edo Sushi is located in Sofia Ring Mall and it is well worth the commute outside the city center for some of the city’s best sushi and Japanese food. The quality of the sushi remains a step above many of the other Japanese restaurants in Sofia, and the prices are good (especially for being in a very touristy area). A few of our favorite dishes are as follows: the gyoza, chicken wings, salmon and wasabi pea roll, and the soft shell crab roll. It’s the only Thai in Sofia, so I hope you like it! It’s fairly expensive given the portion sizes, probably because it doesn’t have any competition. It isn’t the best Thai food I’ve ever had, but it will certainly scratch your itch for Thai if you find yourself craving a Thai restaurant in Sofia. I recommend the chicken satay and pad krapow. Steph and I concur: this is the best burger in all of Sofia, hands down. Their burgers are super big and messy, just the way I like them. My personal favorite is the Boom! Burger – a bacon cheeseburger with special sauce and pickles. It’s nothing super fancy, but every part is done just right. The K-Pop Chicken burger – deep fried chicken with Korean gochujang sauce and shredded carrot – is also fantastic. The Stoner Burger, if they still have it, is legendary. Pretty good, but not nearly as good as Boom! Burgers, in my opinion. I’ve only had the chef’s burger, and it was pretty solid, but again — when your competition is Boom! Burgers, it’s going to be hard to beat. I’d be down to try some of the other food on their menu and likely will, given their convenient location in one of the coolest parts of the city center. This is the first restaurant I ever ate at with Stephanie, and it’s still one of my favorite restaurants in Sofia. With a Mediterranean and European-focused menu, 33 Gastronauts is high-quality dining at very affordable prices. My favorite dishes are the hummus and avocado with sweet potato chips and the home-style sausage in dark beer with mashed potatoes — swoon. The Little Things is one of the cutest restaurants in Sofia and serves delicious modern European food (a blend of Italian, Bulgarian, and other European influences — plus a few random selections like chicken curry). The basil pesto pasta with raisins and almonds is absolutely delicious, and my friend had a really fantastic daily special of a chickpea, caper, and tomato stew served on a bed of mashed potatoes. So many other things looked delicious though that I need to go back for a second visit! They also had really nice Bulgarian wine. Note that this place is small and quite popular, so I highly recommend making a reservation. We got turned away one night, and the next night, we got a table but only for an hour before the next reservation came. This is a great option for vegetarians and vegans as they have a wide variety of dishes. Fabrika Daga is probably the place I eat at the most in Sofia because it’s close to one of my favorite cafés to work at and because the sandwiches and salads are incredibly delicious. The sandwiches are made on some of the most deliciously fluffy focaccia bread I’ve found in all of Sofia. I eat a few things all the time when I’ve there: the bacon and goat cheese sandwich, the pulled pork with orange-wasabi mayo sandwich, and the pear, quinoa, & goat cheese salad if I’m feeling healthy. Their coffee is also quite good and they have a good selection of Bulgarian beers and wines as well. Opening Hours: Monday to Friday 8 AM to 10 PM, Saturdays 9 AM to 9 PM, Sundays 9 AM to 8 PM. As you’d imagine, Supa Star is known for its soups. The concept is healthy fast food meets soup bar, and the result is some of the most delicious and creative soups you’ll find in all of Sofia. The fish soup served on Fridays is a favorite, and for the brave amongst us who want to try Bulgaria’s famous tripe soup (shkembe chorba), they serve it every Sunday. I don’t eat tripe so I haven’t tried it yet! The lentil soup is also absolutely fantastic. A much-loved place in Sofia for its sandwiches and burgers, Farmer’s is another “healthy fast food” option, focusing on locally-sourced foods, particularly sandwiches, soups, and salads. They have a great selection of vegetarian sandwiches – I loved the one I tried with olive tapenade and cheese. Planning a trip to Sofia? Here are some recommendations on where to stay by two Sofia locals. Luxury: As far as we see it, there’s only one option for the best hotel in town: Sense Hotel. We go to their upscale, beautiful rooftop bar all the time when we have guests in town – it has one of the best views in the entire city and they make fantastic cocktails. With beautiful views over Alexander Nevsky, Sofia’s most iconic landmark, the hotel could’t be in a better location. Sense Hotel also boasts a state-of-the-art fitness center, an art gallery in the lobby, an excellent spa with luxe treatments, and an indoor pool. It’s truly the best choice in town. Check rates, reviews, photos, and availability here. It’s true! And I keep having to decide between trying new ones or going back to old faves. Just got to Gurkha recently and I want to go back a few more times this month. =) It was insanely good! Sample the cuisine of Bulgaria’s neighbor, Serbia, at Bankovich Restaurant . Bulgarians are crazy about Serbian grilled meat, and this is a place where you can decide yourself if it deserves its fame. The restaurant has three branches in Sofia and offers a different lunch menu every day. Thanks! We will definitely check it out. We love Serbian food! Ugh I miss their bacon mousse sandwiches so much! Glad you enjoyed! Definitely check out Gastronauts. It’s where we go for birthdays, anniversaries, etc. Not fancy but nice. And the hummus is amazing.